Patients reporting head & neck pain would be one of the most common reasons for patients to attend Richmond Rehab. There are a multitude of reasons that may be causing your headaches, as there are many different types of headaches that present in the clinic. Julius Principe has been researching the assessment and treatment of headaches from a myotherapy perspective and has created the following informative posts. If you’re someone who suffers headaches and wold like to learn more, Julius would love to meet you! Are you finding your recovery following exercise has been a little slow? Is your foam roller not effective enough to keep up with your exercise load? Shinya Yoshida, our newest and debatably most enthusiastic team member, has passionate about all things Sports Recovery. As an avid urban dancer & Taekwondo practitioner himself, Shinya knows the impacts of physical exercise first hand. As part of his passion, Shinya is currently the preferred provider for the O2 Dance Studio… helping their dance athletes keep up with the challenges of performing at a high level. 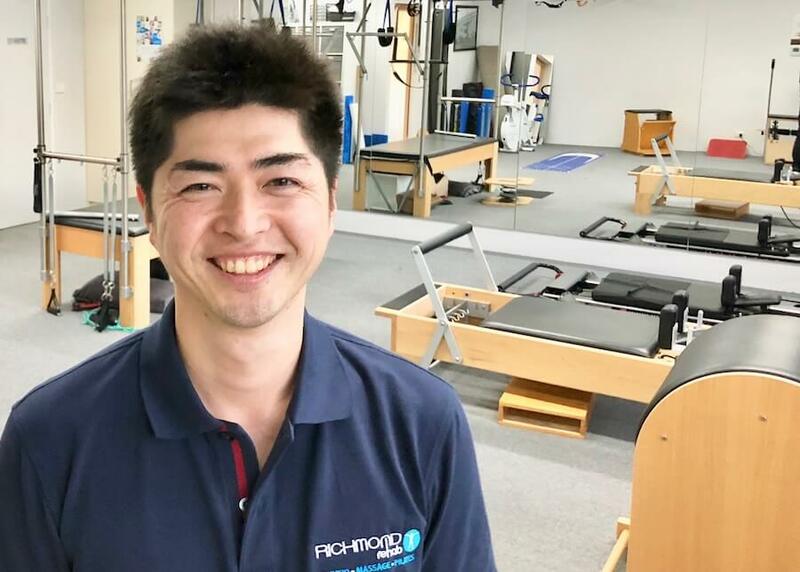 Wether you’re an athlete in training for a marathon, triathlon, powerlifting competition or you’re going on Dancing With The Stars, Shinya is keen to help you out with your muscle recovery and keep you injury free (and away from our physio team)! Available Thursdays & Saturdays, Shinya is keen to help you achieve your exercise goals and get the most from your body! Do You Find That You Run Out Of Time To Get Things Done? Don’t Stress… Our Massage / Myotherapy Team Are Available 7 Days! We know it can be very difficult to get in for a massage during the week. Our massage team are very good and therefore often difficult to get an appointment with. Unfortunately however, we often have patients come with issues after looking for a quick fix massage at their local shopping centre. We are indeed here on the weekend and we find our patients are thrilled to be able to come in at a time that suits them! Shinya Yoshida & Akiko Kato are the soft tissue powerhouses of Saturdays. Available from 9am - 5pm, the Japanese duo are flexing their hands in preparation for your tight muscles. Akiko Kato & Julius Principe are treating the sore and tight muscles of Richmond every Sunday. Do you charge more for weekend massages? No we don’t! Our rates & outstanding massages are the same every day, even on Sundays! We strongly recommend you booking in advance to get in on the weekend. Unfortunately we have to turn people away every weekend as the massage team are so busy!